Sometimes when a label which chiefly deals with AOR and melodic acts releases something they term “progressive metal”, it’s not usually progressive metal as such. It’s more likely to be a bunch of Yngwie Malmsteen enthusiasts/ex-collaboators churning out similar neo-classical work, but delivered with a slightly bigger punch (see Artension and Ring of Fire for starters). With Silent Call, this is not the case. ‘Greed’ is their second release and frankly, it’s a monster. Throughout the album, each member of the band gives their all, but the real stars are Andi Kravljaca (ex-Seventh Wonder) on vocals and guitarist Daniel Ekholm. 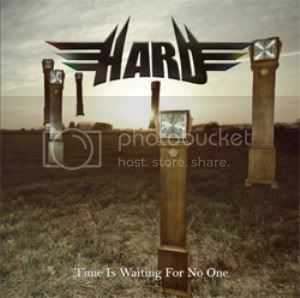 ‘Time Is Waiting For No One’ is the second international release (but fourth release overall) by the part Swedish, part Hungarian melodic metal outfit Hard – a band fronted by Björn Lodin of Baltimore. It’s one of those albums where once you’ve taken note of their rather unsubtle moniker and band logo, you’ve got a fair idea of what it sounds like before hearing any of the songs. Kicking things off, the title cut is a fast-paced riffer, showcasing Hard’s brand of melodic metal. The rhythm section is punchy and the guitar riffs are edgy, but any good qualities are killed by Lodin’s vocal performance, which is all squeal and no real passion – he’s been likened elsewhere to Marc Storace of Krokus and I can see why…and, no, I never liked Storace either. ‘Lonesome Loneliness’ (hey, what other kind is there?) has a swaggering approach and overall holds up as a solid piece of hard rock, although not groundbreaking. ‘Into the Fire’ features some fantastic metal guitar work and cracking rhythms, but generally, there’s little here to make a lasting impression. ‘The Pace and The Flow’ is a rock ballad with a bluesy edge. Surprisingly Björn Lodin’s vocals are far better here; he’s not forcing his voice so much and the end result feels more natural. Similarly with ‘Nona’ everything flows nicely and the vocals are both tuneful and well-suited to the material. ‘My Kind of Woman’ pulls out of the starting grid at full throttle, like a twisted cousin of early Deep Purple. 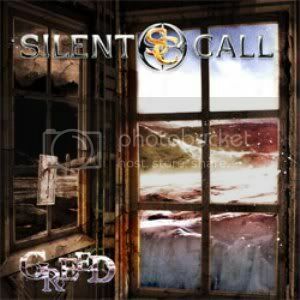 It’s a track that shows initial promise: Zsolt Csillik and Zsolt Vamos’s guitar parts are superb once again, especially if this kind of melodic metal is your bag, but it’s let down by poor songwriting. ‘Shine On Me’ combines a driving hard rock riff and funky edges to fantastic effect. The vocals have an edge, but remain tuneful, if still an acquired taste. There’s a strong Bang Tango influence here and this track should appeal to fans of that very under-rated band. 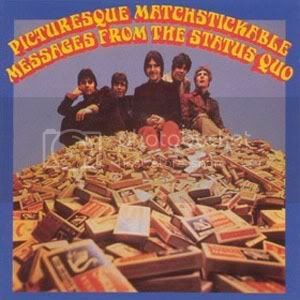 Overall, although this album has a few good qualities, most of it does little for me. If Hard could’ve concentrated on the softer or funkier elements of their sound, it could’ve been very different indeed. Some bands in the world have a lot going for them. Judging by this album by Hard, it would seem their greatness hasn’t yet arrived. 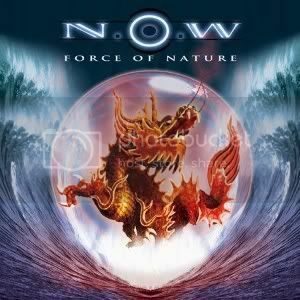 ‘Force of Nature’ is the debut release by N.O.W., a Brazilian based melodic rock outfit formed by bassist Alec Mendonça. The music was recorded in Rio de Janeiro (aside from a few drum parts recorded in Sweden) and the tapes were then sent to Los Angeles, where ex-Unruly Child vocalist Philip Bardowell laid down his vocal tracks. The resulting album offers thirteen hook-laden songs which push all the right buttons – especially for Philip Bardowell fans. ‘Can’t Make It (Can I)’ opens the album with the band in full-on rock mode, focusing largely on Caio de Carvalho’s guitar riff, although there are moments where some classic sounding AOR keyboard work breaks through. Although this is great, it’s on the slower numbers where the band sounds more comfortable, particularly those with a traditional mid-paced arrangement. ‘Listen To Your Heart’ is the album’s masterpiece. It’s a classic example of AOR – the keyboards take a stabbing approach and the bassline is uncomplicated, but it’s the vocal arrangement which is key: Bardowell sounds absolutely at ease and his lead vocal is fabulous; on the chorus, it has a well-placed backing vocal as a counter-balance. 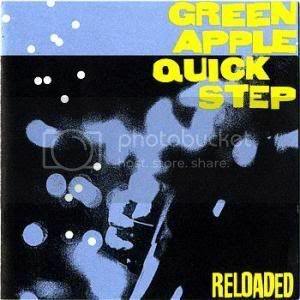 ‘Once That Feeling Comes Again’ is a standard mid-paced rocker, but stands out due to another use of stabbing keyboards, as well as featuring a couple of pleasing keyboard flourishes. ‘You’ begins as a grandiose piano-led piece, where Bardowell could be accused of over-singing. Things settle down with the addition of drums and guitars, at which point the track becomes another in a long line of songs which sound like they’ve come off the AOR factory’s production line. There’s nothing wrong with it, but ‘Force of Nature’ offers better moments. ‘Lonely Soul’ is an excellent soft rocker, which should please fans of Jeff Scott Soto and ‘Long Way From Home’ features some well played pompy keyboards, before settling into a techy 80s groove on its verse; this track sticks out a little, as its stylistically quite different to the other songs. ‘Hail Mary’ opens with some terrific soaring guitar lines, before the main riff kicks in. As with most of N.O.W.’s material, it has a mid-paced approach. The pre-chorus feels a little out of place but a couple of effective guitar fills help to make it work; when the chorus eventually arrives, it resembles melodic rock at its best, with another big hook. ‘I’m Free (But Not Ready To Go)’ is slow-burner of a song which seems to take a long time to get to the chorus. While the chorus is memorable, I would have shoehorned an extra one in, before the two minute mark, especially since verses are in a key not best suited to Bardowell’s voice. Once it hits its stride and he gets to hit the higher notes, though, it becomes another standout track. The closing number comes with a great lead guitar part, full of vibrato. With regard to the lead guitar in the end section, Caio almost steals the show here with some smart fretboard work. It never upstages the song, though, as once again the chorus here is incredibly strong. Although there are no bad songs here, the (polished) demo quality of the recordings stops the album being truly great (it’s also worth mentioning that for some reason ‘Long Way From Home’ has also been mastered at about a third of the volume of the rest of the disc). However, fans of melodic rock – and particularly fans of the mid-nineties releases via labels like MTM – should find plenty of enjoyment here, even if ‘Force of Nature’ sounds like something you’ve heard a thousand times before.